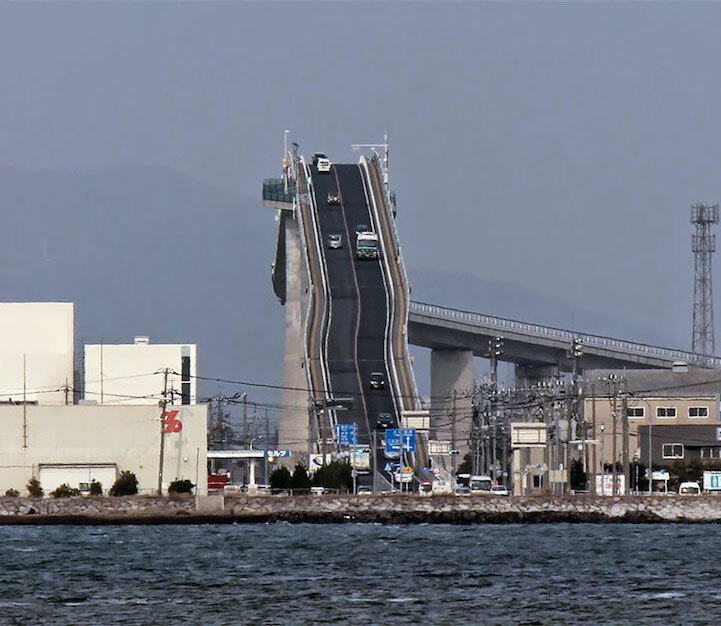 You’d likely feel more than a little trepidation approaching this bridge head-on, wondering how in the world your car is going to drive straight up a nearly-vertical surface. 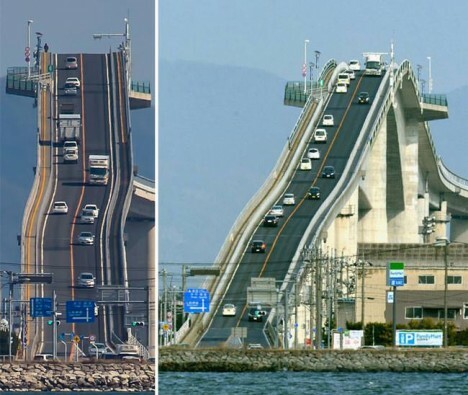 Spanning Lake Nakaumi between Matsue and Sakaiminato in Japan, the Eshima Ohashi bridge has a gradient of 6.1 percent on one side and 5.1 on the other. 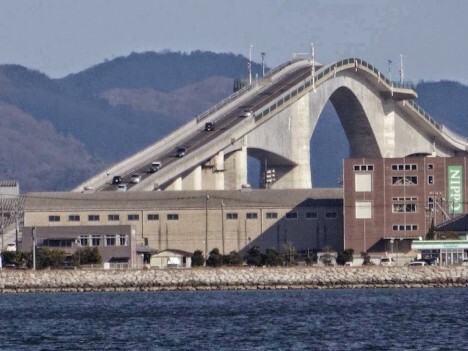 The third largest rigid-frame bridge in the world, this intimidating structure is the nightmare of anyone with a bridge phobia, especially since it runs a full mile over the water. When you see it from the side, it doesn’t look quite as dramatic, but the angle leading up to the apex is no joke. 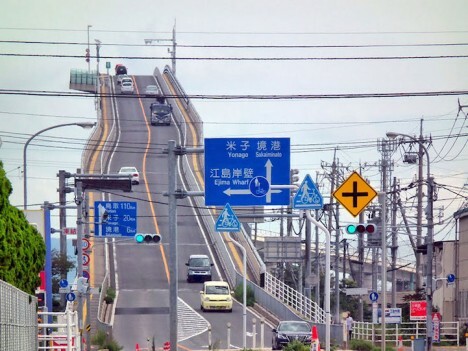 Its extraordinary height enables even the tallest of ships to pass under it without the need for a drawbridge, allowing traffic to continue between the two cities without interruption. It’s certainly not for the faint of heart. Surpassing it in height is France’s MIllau Viaduct, which bests even the Eiffel Tower at over 885 feet from the ground. Still, imagine trying to drive over this thing on a foggy night, in the rain, or even worse, when the roads are slick from snow and ice. 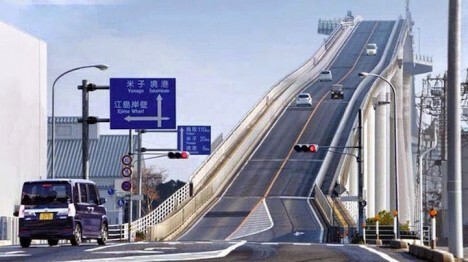 It seems like cars would just slip and slide right back down, which probably wouldn’t be as much fun as it sounds.